Welcome by the staff of Solways and local guides, transfer to the hotel in air-conditioned buses and guides that offer you the first information about Havana. Havana is the capital of the Republic of Cuba, its largest city, the main port, its economic-cultural center and its main tourist pole. As the capital of Cuba, the city is the official headquarters of the superior organs of the State and the Cuban Government, of all the central agencies and of almost all national companies and associations. Its historic center, declared a World Heritage Site by UNESCO in 1982, is today one of the best preserved architectural complexes in Latin America and is about to reach its 500th anniversary. When you arrive at the hotel, a dinner awaits you. You can enjoy first night in Havana. Departure for walking tour through the Historic Center of Old Havana, Cultural Heritage of the Humanity: Tour considering walking by Plaza San Francisco de Asis, Plaza de Armas, Plaza Vieja and Plaza de la Catedral. Visit to the Factory Museum of Ron Bocoy. It is included a tasting of rum and coffee. Free time for Buy some souvenir. Return to the hotel by bus. Breakfast at the selected hotel. Departure to Pinar del Río, where the best tobacco in the world is grown. There is an explanation of the panoramic tour of the city, the National Highway with views of famous mogotes and in general the Sierra del Rosario mountain group. Arrival at the tourist center Las Barrigonas. It offers information about the route to be takenand a brief overview of the tobacco production process in Vueltabajo. Visit Tobacco Farm Quemado de Rubí del meeting with Habanos Man youngest in the world Héctor Luis Prieto. Exchange about the activities of the cultivation process. Entrance to the plantations of tobacco, visit to tobacco selection the tobacco drying house and among otheractivities on the farm. 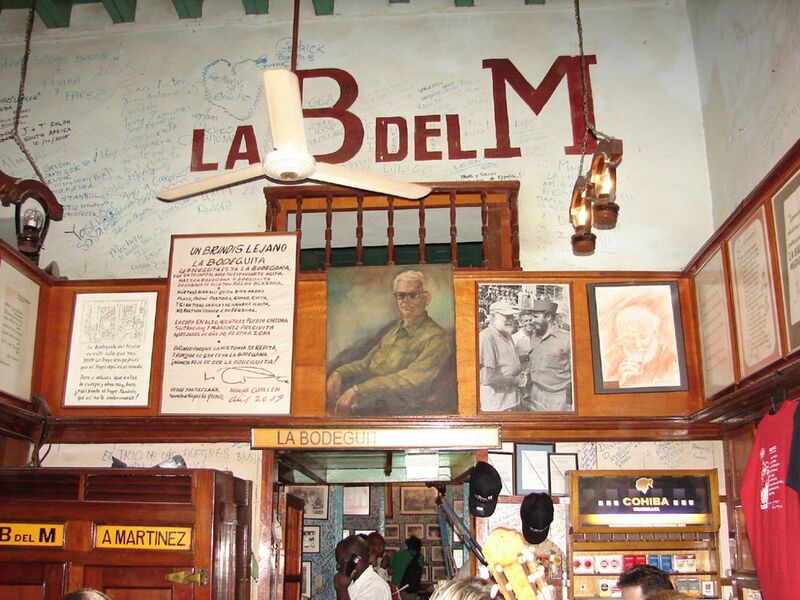 Traditional Cuban lunch at a country restaurant interchangewith a cigar roller. Fermentation and selection of tobacco leaves for subsequent shipment to the industry. At the end , return to Havana. Dinner at El Tocororo Restaurant and tasting of pairing of tobacco and rum. Arrival in Cienfuegos, Cienfuegos province is a land of proud and charismatic Cuban, recognized as a UNESCO World Cultural Heritage since 2005. Historic Center is the only Cuban city born of parents from other countries, mostly French, by what its environment is characterized by that French air that even in our days is perfectly preserved. The maximum figure of music in Cienfuegos is Benny Moré, director, composer and performer whose tomb is even a National Monument since 2009; The natural attractions of Cienfuegos are varied and ideal for lovers of nature tourism, perfect to enjoy the warm climate of the province. Cienfuegos treasures wonders such as El Nicho, the Guamuhaya Massif, the Yaguanabo Valley and the Jagua Bay with its great environmental and ecological value. Lunch at El Club Náutico de Cienfuegos .Tour of the main streets and avenues of the city of Cienfuegos, With the neoclassical constructions and pedestrian promenade. Tour and entrance to the Tomás Terry Theater. Purísima Concepción and the Palacio del Valle. Dinner at Palacio del Valle. Breakfast at the hotel and early departure to Peninsula de Ancón. Departure on Seafari excursion to Cayo Las Iguanas (Marina Gaviota). Dinner and night at disposal. Breakfast at the hotel and early departure to the city of Trinidad. Visit to a Museum of the city followed by the visit the bar La Canchánchara enjoying the cocktail of the same name. Lunch at Factoría Santa Ana Restaurant. Visit in Trinidad to the Valley of the Sugar Mills. Enjoy a cocktail at the Manaca Iznaga Restaurant. Continuation of the trip to Topes de Collantes. Accommodation and dinner at the selected hotel. Night at disposal. Departure by mountain bus for the excursion to the Guanayara National Park, 15 km from Topes of Collantes. Creole lunch at Casa de La Gallega. Visit to the Coffee House. Dinner at Mi Retiro restaurant. Early departure for Santa Clara. The architecture of Villa Clara, has a strong Spanish influence, with a predominance of neoclassical and art deco styles. The churches of Carmen and San Juan de los Remedios, the Cathedral of Santa Clara, the Church of the Good Journey and the old convent of the city are clear examples. Visit to the sculptural monument dedicated to Ernesto Che Guevara. Tour of the Historic Center of the city of Santa Clara. Lunch at Santa Rosalía Restaurant. Departure to Cayo Santa María. Panoramic visit in transit to the Village San juan de Los Remedios. Visit the Central "Marcelo Salado". Entrance to the Museum of Locomotives. Arrival to Cayo Santa María. Accommodation with All Inclusive Plan in the selected hotel.